The early goals ensured that there was to be no question of a giant killing act. The gap in quality between the teams was obvious. In pace, passing and physical challenges we were on top and the home crowd was able to sit back and relax as the players created chance after chance. There was some sympathy for the dedicated followers of Cove that their impressive cup run was ended after the first minute. They had hardly settled in their seats before their dreams were shattered. 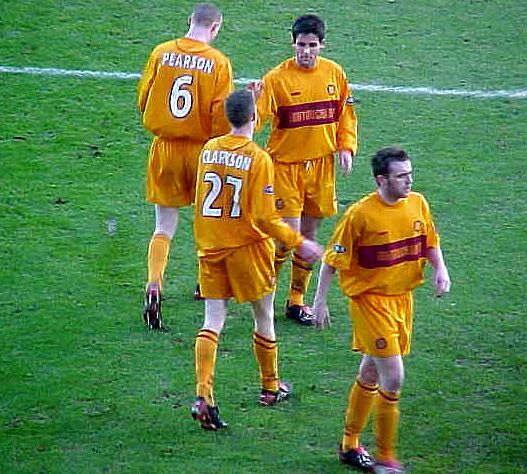 Motherwell fans have suffered the same fate often enough on other occasions. McFadden rolled back the years as he showed off some of the skills that set him on a pedestal in times past. Despite his team-mates going out of their way to set him up he was unable to convert any of the chances that fell his way. Maybe next time? The sixteen slips in the hat for the next round contain many unresolved ties from the fourth round but there are plenty candidates from lower leagues and with another slice of luck we may be favourites for a quarter final slot. But before the weekend of 6 February we have Hearts (a), Ross County (h) and Dundee (a) to entertain us in the league. Next week’s trip to Tynecastle will be world away from the game against Cove but the team has been unbeaten since our home draw with Hearts at the end of November. We were ahead twice in that match and they will know that we will be up for the test.